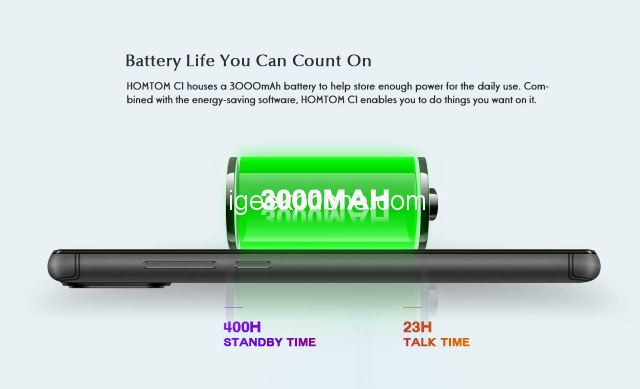 HOMTOM like we all known always comes with amazing rugged devices that always tend to last the test of time. 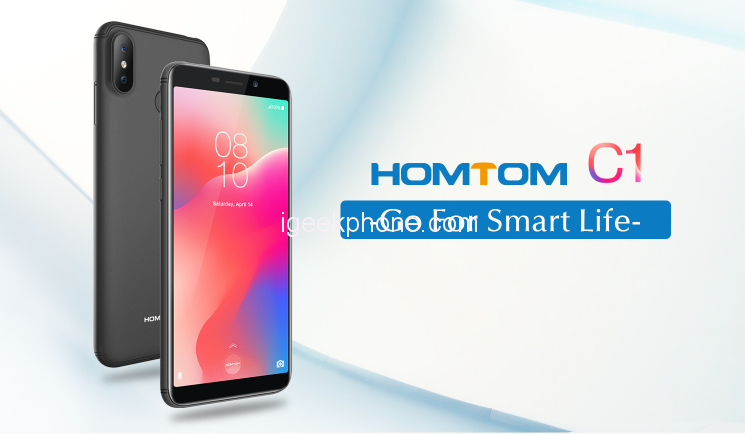 The HOMTOM C1 is the new technology smartphone which is affordable for all the customers. The HOMTOM C1 provides all the basic functions of a smartphone that are required in today’s life. The shape of HOMTOM C1 is the same as the shape of other smartphones in the market. It is rectangular in shape with a18:9 full display with the 5.5-inch extra large screen. The display or the resolution of the screen is 720*1440 pixels. The large display provides you with the better quality of the detailed and bright view. It is the best suitable size for a smartphone with a high definition picture display. The high definition picture gives you a better look than the other smartphones. The HOMTOM C1 Smartphone runs on Android TM 8.1 OS(Go edition), equipped with processor MediaTek MT6580A quad-core processor. 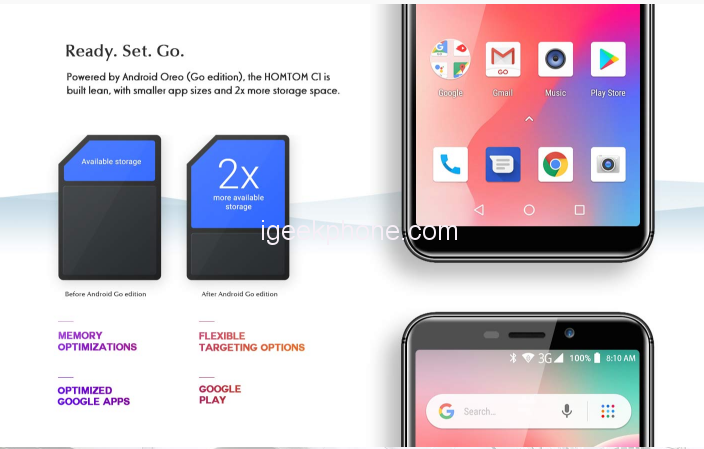 The processor work in conjunction with 1 GB RAM and 16 GB of internal storage, but don’t forget the Android Go is specifically designed for such low specs to operate fully and without issues. This storage is expandable up to 126GB. It is powered by a 3000mAh battery. HOMTOM C1 comes with the dual Samsung 13MP+2MP rear camera which allows you to catch every moment and an 8 MP front camera which also allows you to take images in different modes. The smartphone comes with the different modes in the cameras like the beautification mode in the front and the rear camera. The latest version of the smartphone provides you with the Bokeh. The Bokeh allows you to take pictures of high quality with the blur effects like the top smartphones. It comes with nano-sim technology and the dual sim in the smartphone, the smartphone is capable of receiving and sending text messages. The smartphone also provides the feature to make and receive the call from 2 sims that are on your phone at the same time. You get the full access to both sim card at the moment, and the call from another number can be diverted from one sim card.